Our modern Aluminium bifold doors offer an excellent solution to allow in more light and space. 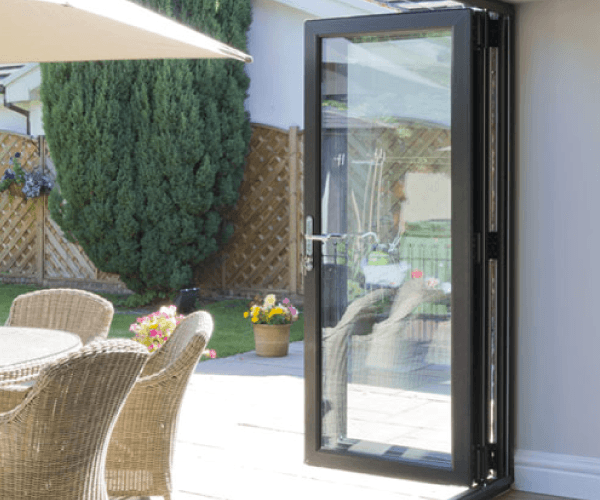 If you have the space to stack the Bifold Doors to the left or right, or on both sides, when they are fully open, then a Bifold Door could be ideal for you. 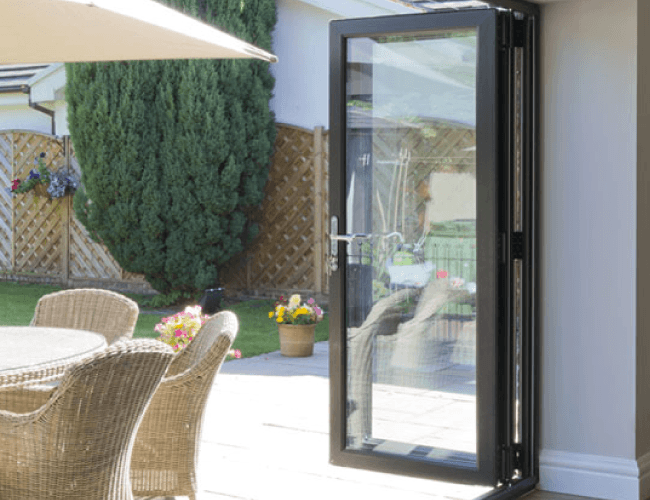 Bifold doors can be fully opened to around 90 per cent of the full opening width, allowing you the flexibility to let in lots of fresh air and move around freely. On days when you don’t wish to open the doors fully, you can choose to have a single traffic door, allowing you easy access between your home and garden all year round. Our Aluminium bifold doors offer the best weather resistance of any bifold in the UK and are made to bespoke sizes to suit your project and are available in seven colours from stock. Our door handles are designed exclusively by us and are made from stainless steel. 3 single colours from stock and 1 dual colour or any RAL colour, dual colour or textured finish available. We can supply doors and windows in any RAL We can supply any RAL colour, luxury textured effects or anodised finishes, which includes Marine Grade. All painted and finished in our advanced paint finishing facility at Kawneer Runcorn, in Cheshire. Totally bespoke bi-folding doors designed and manufactured by KAT to fit your application. Excellent thermal, acoustic and security performance. Huge range of bi-folding configurations from KAT the UK market leader with a 10 year manufacturers’ guarantee.